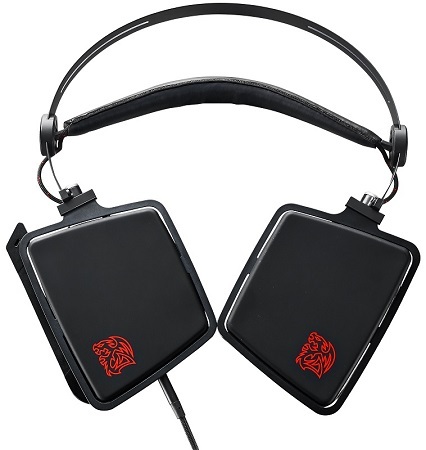 The market of so-called gaming audio products is something of a minefield for PC gamers to traverse. There are many worthy gaming headsets out there, with the Kingston HyperX Cloud II Pro being one such example, but there is also a stream of poor-quality designs seeking to ride the gaming moniker. As such there is sound (excuse the pun) logic behind doing some research before buying a gaming headset at any price point. Thermaltake's gaming sub-brand, Tt eSports, is certainly no stranger to that gaming headset market with a dizzying array of offerings for gamers on a variety of budgets using different gaming platforms. Today we are putting the company's newest addition, the Verto, under the microscope to see if it has what it takes to join the ranks of worthy gaming headsets. 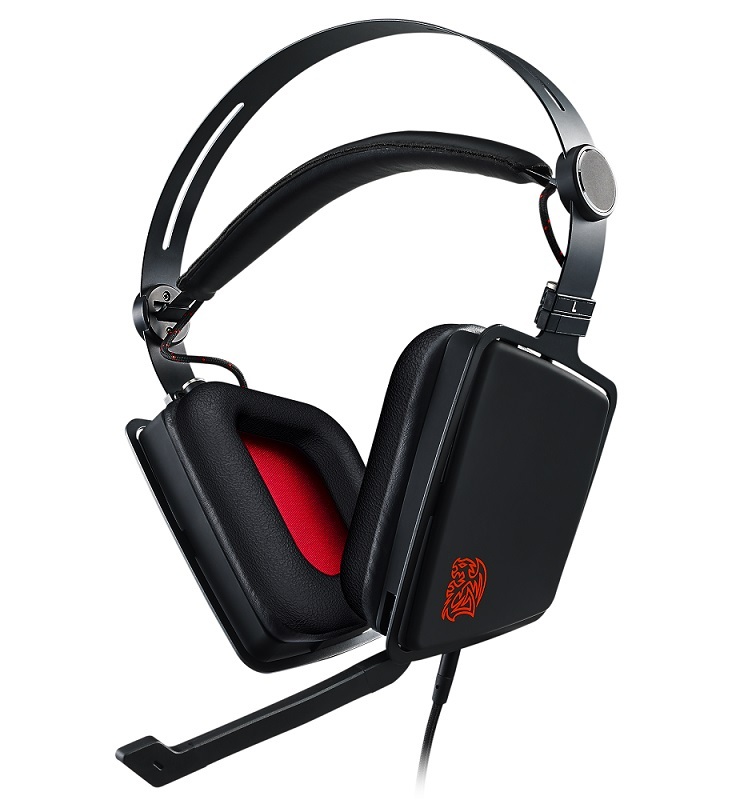 From a design standpoint the Verto is one of the most unique-looking gaming headsets on the market with its trapezoidal-shaped earcups and aluminium frame. The top of the Verto features an automatic-adjustment headband with a thin layer of faux-leather padding. The ability for the ear cups to rotate 90-degrees on a hinge allows the Verto to lay completely flat and be transported easily to gaming events. 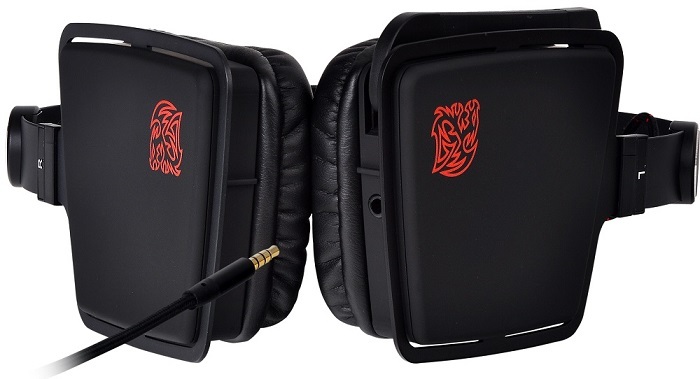 Each of the earcups has a thin leatherette coating while the fabric covering the main audio drivers is bright red to ensure the Verto conforms to Tt eSports' red-and-black company branding. For such a reasonably priced headset - about £65 at retail - the extensive use of aluminium to construct the frame is pleasing to see. Tt eSports has cleverly deployed a fold-down omni-directional microphone alongside one of the earcups making it convenient to access and impossible to lose, and this is a design concept other manufacturers could benefit from adopting. Another nifty feature up the Verto's sleeve is a detachable 3.5mm jack meaning the supplied cables can easily be replaced if lost or damaged. 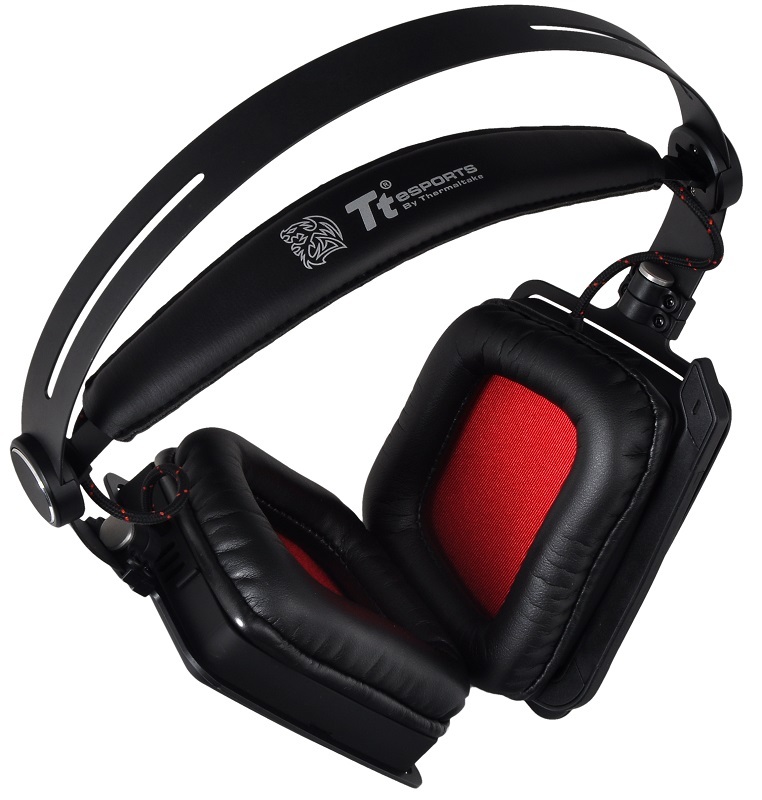 Tt eSports supplies a single one-metre 3.5mm cable for use with mobile devices and an additional three-metre cable with an in-line control box to use the headset and microphone with a desktop PC, and both cables are sleeved to a high-quality finish.